I haven’t written about blogging on my website before, but after recent questions and emails, the time has come to share my blogging story in one (very) long and detailed post. This is my blogging story as well as the blogging resources I use here on my blog, for those who are interested in blogging on a budget. If you are interested in a behind the scenes look at blogging, want to know how I make money on my blog, are looking for blogging resources that really help grow a blog, or if you just want to start a blog on the right foot, this post is for you. 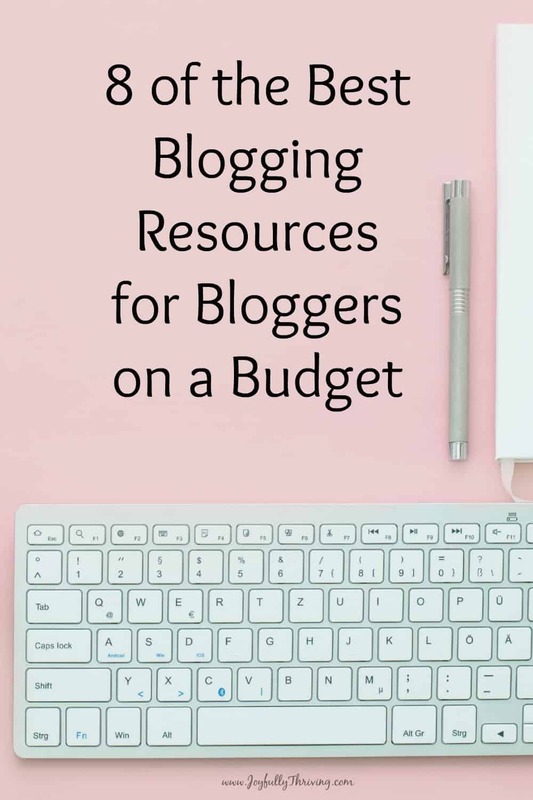 I’m calling this blogging on a budget because I always try to find the best resources for my blog on a budget. I have been blogging for quite awhile and thought now was time to share some of the best blogging resources I have discovered through much trial and error. I have spent hundreds upon thousands of hours researching and reading before trying new and different strategies with my blog. I am so thankful for the bloggers who have helped me on my journey, and I’d like to help others in the same way. Blogging is unique in that we have very low overhead costs. You still do have to spend money to make money. I have found some areas where I spend very little and some areas where I spend a bit more to get what I believe are the absolute best blogging resources available. These are the blogging resources I would (and do!) recommend to friends who are interested in starting a blog of their own. I began blogging in July 2010. I had been married a year and at the encouragement of my husband and a cousin, I decided to start writing a blog. Blogs were in the early stages and those first several years, I wrote mainly for fun, about how I was saving money, recipes I was cooking and a personal look into our lives. That’s what blogs were then – an online diary of sorts. 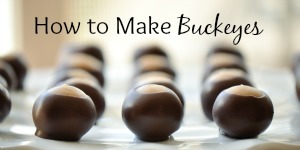 The idea that this blog could become a money making endeavor was always in the back of my mind. When I became pregnant, my husband and I decided that I would stay home with our son. That was always our plan. At that point, the desire to turn this personal blog into a professional one took root. How I approached the blog changed when Nathan was born in 2014. I am thankful for all I learned those early years, and I continue to learn more each passing year. Blogging is constantly changing! You can always learn something to try and apply. I’ve been blogging professionally, shall we say, since 2015. For each of these 3 years, I have seen my income grow to the point where I am now making a solid-part time income that helps support my family. God is so good! I am amazed that I can stay at home with my children, and earn money writing and encouraging other moms in their money saving journey. Blogging is not easy nor is it a get quick rich overnight job. Those stories of bloggers who are making 6 figure salaries within months should be treated as an exception to the rule. Blogging is a lot of hard work but I love it. My goal has always been to make enough of an income that when Nathan enters Kindergarten (in two more years! ), I would not have to return to teaching. As much as I loved my decade in the classroom, I love being home with my children more. Blogging allows me to do that. I have not grown as quick as some bloggers. It is very easy for me to get caught in the comparison game to other bloggers. But I am not recommending expensive affiliate products or selling courses that cost $200. 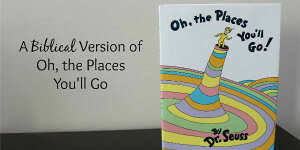 I do sell my customized Biblical children’s books but that is as expensive as it gets for me. So, while I might wish my income would increase faster, I’m okay with my slow and steady growth. I am still growing and have so much room for potential growth (and income) ahead of me! Plus, I am not working 40 hours a week on my blog. My kids come first so I am working in the margins of our day on this blog. Right now, I have a 3.5 year, an 18 month old, and I am pregnant with our third baby. Life as a mom of little ones is exhausting so I blog whenever I can. I try to work during nap times and on Saturday mornings when my husband is home with the kids. On an average week, I spend around 10 hours doing various blog work. If you are interested in blogging, I am here to tell you to go for it! 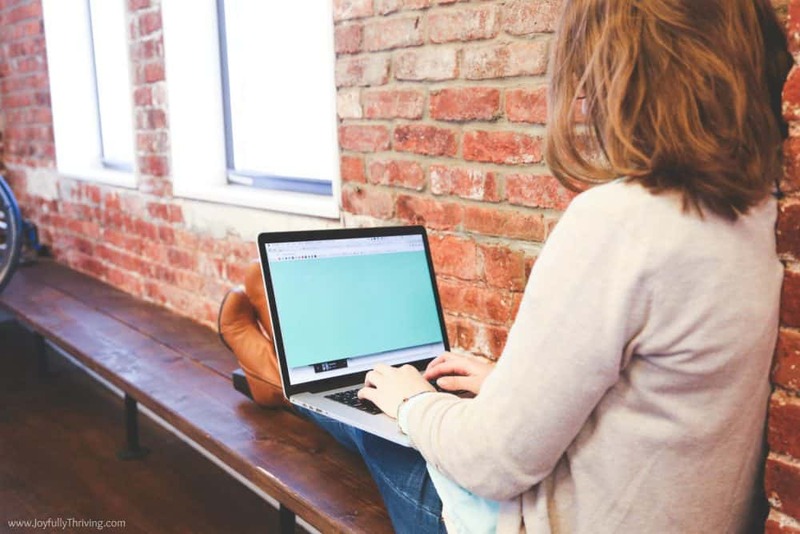 If you like writing and are not afraid of hard work, blogging is a great way to connect with others. And yes, you can monetize your blog along the way! I truly believe slow and steady wins the race. You won’t master everything overnight and that’s okay. All bloggers have work to do! Let me start with this caution. Be selective with the bloggers you follow. This especially true in the blogging world where many bloggers make money by selling information about blogging. I have chosen to listen only to bloggers who have been blogging for several years and have the results to prove they know what they are talking about. Amy Lynn Andrews is a wealth of information. Amy is my go to girl for any technical blogging information. I like Amy’s concise take on technology and since she has been blogging for over a decade, I trust her completely. Her free Useletter is my favorite weekly blogging newsletter to receive. If you are just getting started blogging or want a program to walk you through the process, I highly recommend Building a Framework. This is the program that I wish I had when I began blogging instead of figuring it all myself. 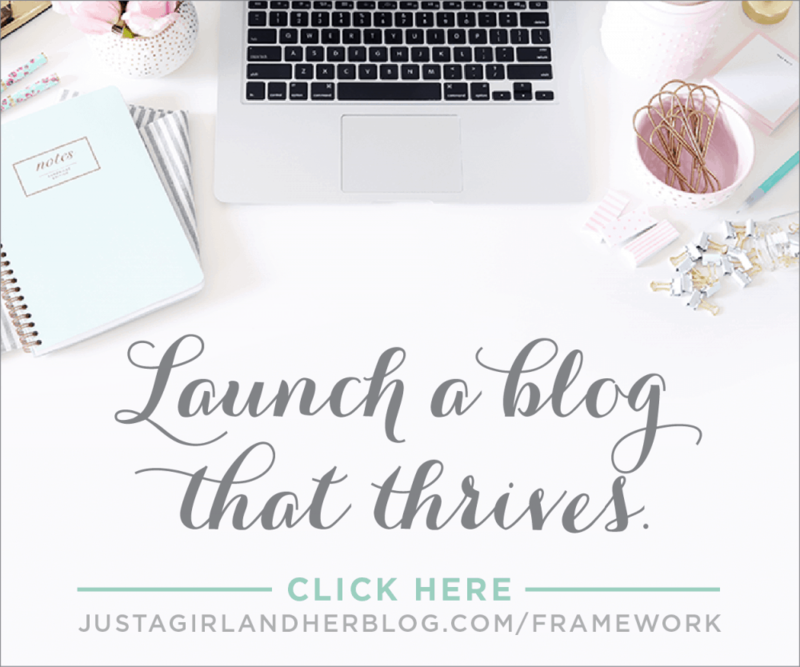 Abby Lawson (the blogger behind Just a Girl and Her Blog) has built an incredibly successful blog and shares step by step instructions for how you can do it too with her course Building a Framework. 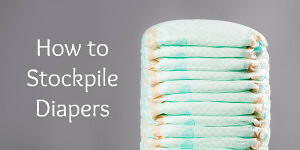 Her book, workbook and videos make the entire process simple and easy to replicate. Plus, it’s a reasonably priced program for all Abby teaches you to do. Yes, it’s still $100 but I have seen courses that are several times more expensive and don’t come near to delivering all the content that Abby does. Building a Framework is the blogging course that I recommend for all beginners who want to build a successful blog from the beginning. If you are ready to learn more about how to make money from your blog, read the book, How to Blog for Profit without Selling Your Soul by Ruth Sukoup. Ruth (the blogger behind Living Well, Spending Less) has been blogging for years and is making a full-time income from her blog. She actually makes enough that she brought her engineer husband home from work a couple years ago, too. Ruth definitely knows what she is talking about. This book gives you some great ideas on how to begin making money from your blog. If you have dreams of someday becoming a professional blogger (like I do), I highly recommend Elite Blogging Academy. I joined EBA back in 2014 when Nathan was born. To date, EBA is the largest investment I have ever made in my blog but it has paid off time and time again. Elite Blogging Academy opens once a year. It is run by Ruth Sukoup and is an intense program that forces you to fine-tune every area of your blog to become a professional blogger. The nice thing about EBA is that you have lifetime access and I am still learning more as I work through it the second time. From the beginning, I bought my own domain and url, and started blogging on WordPress. Both of these things are incredibly important if you have plans for a professional blog at any point. It’s not expensive and it’s easy to do through any hosting site. I used Bluehost as my hosting company for many years. But, as soon as I started to grow and receive more page views, I experienced glitches and slow load time. 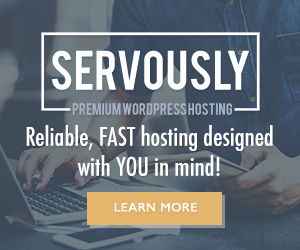 Yes, Bluehost has incredibly low prices but after my experience and hearing from countless other blogger friends, I would recommend starting with a slightly higher priced hosting company. Now, if you are truly on a tight budget and trying to figure out if you will last with blogging, give Bluehost a try. They do have the lowest prices around, and if you switch to a different company before your time is up, Bluehost will refund you for the time in your plan you have not used. Sign up for Bluehost here, with plans as low as $3.95 a month. Thanks to a recommendation from a fellow blogger, I began using Servously and I am so glad I made the switch! Yes, my hosting costs have gone up a bit but you get what you pay for in regards to hosting. Servously is a small company and they take a true personal interest in your site. I have the owner’s email and she responds quickly and personally to any questions I may have. I have never experienced any downtime on my site (like I did with Bluehost) and my site runs much smoother now that I have better hosting. Servously has several levels of hosting so if you are just getting started, you can start as low as $10 a month. Servously will also monitor your site so if you are growing quickly or have a sudden surge in traffic, you can bump up your level of resources for a couple days and prorate your bill. I am all for saving money in my life but there are some areas where it is worth it to pay a bit more. Servously hosting is definitely worth it. You can learn more about Servously and their small boutique approach here. Ads are a great way to earn passive income for your blog. You don’t do anything to earn money with ads. As people visit your site, you earn money for the impressions on your ads. I recommend starting with an ad company from the beginning so your readers are used to them. Many people recommend starting with Google Adsense. Unfortunately, in the first months of blogging, Google banned me from using their program for a reason they never explained. Trust me when I say that I was doing nothing against their terms of service and I have since learned this is very common. I have experimented with many ad companies, including Media.net, Sovrn, and my current ad company and all time favorite, Gourmet Ads. Since switching to Gourmet Ads, I have tripled my daily ad income! They are now the only ad company I use. Even with my smaller page views hovering around 40,000 a month, this has been a huge income boost for me. What I like about Gourmet Ads is that they install the ads for you. I am always happy to let someone else do technical things for me when they will! I should add that I have blocked video ads (because those drive me nuts!) and limited the number of ads on my site. Yes, I could earn more with ads, but I don’t want to annoy my loyal readers with excess ads. Gourmet Ads also has very family friendly ads. I have never had to block an ad for inappropriate content and that is important to me. 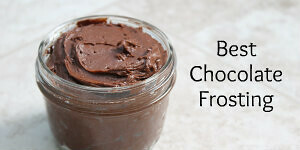 If you post about food or recipes even occasionally, check out Gourmet Ads. 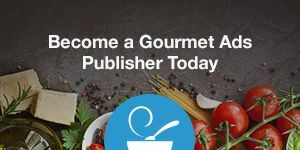 Changing ad companies was a very easy way to boost my blogging income this past year and I am SO happy that I switched to Gourmet Ads. I have had an email list for the past couple years but just really started working on growing my list this past year. 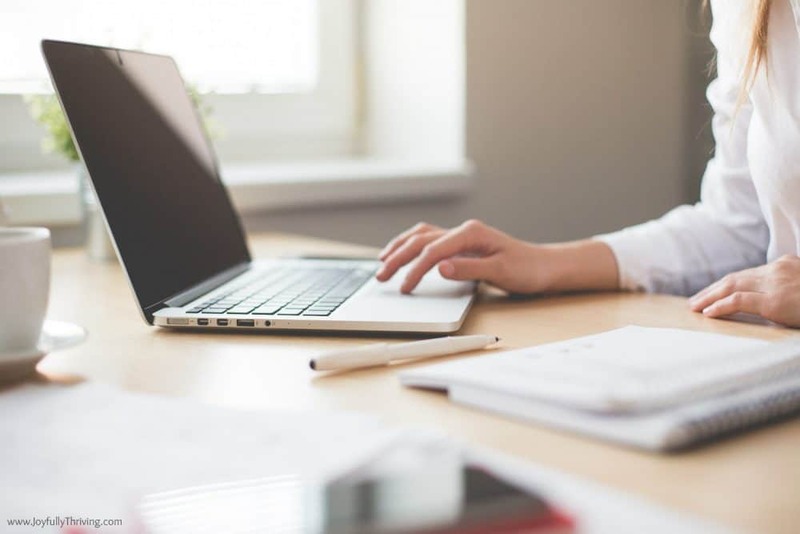 As any blogger knows, Facebook and Pinterest change but having an email list that looks forward to hearing from you is vitally important to your business. Even if you aren’t convinced (yet), please start growing your email list right away! For years, I used Mad Mimi and they were fine but didn’t allow me to do as much as I wished. Now, I use and love MailerLite for my email list. MailerLite is very reasonably priced (especially compared to the pricey Convert Kit which many bloggers use) and even better, it’s free for the first 1000 subscribers. MailerLite makes it easy to create templates and send emails that look professional. Plus, MailerLite allows you to set up different email lists and create unique opt-in forms very simply. I have been incredibly impressed with MailerLite and definitely consider this the hidden treasure bargain email company that all bloggers should use! The nice thing is you don’t have to take my word for it, because since it’s free for the first 1000 subscribers, what have you got to lose? Plus, you can get a $20 credit to MailerLite if you sign up here, for if / when you do upgrade to a paid plan. Check out all MailerLite can do here. One of the things I wish I learned more about from the beginning was creating good images for my blog. My food photography has come a long way but I still have a ways to go…and lots of early recipes to update in the meantime! With so many blogs out there, you have competition. You can’t throw something together and expect it to go viral when thousands of other blogs are hoping for the same thing. Besides, you need good images if you are going to succeed on Pinterest. I have learned to edit and design many of my images using the free online photo editor, Canva. 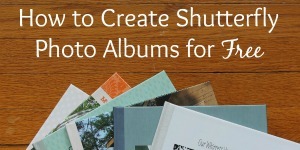 Canva allows you to add different texts, crop and resize pictures easily. 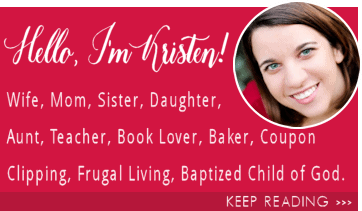 Canva makes it easy to add text and then resize my picture with the proper dimensions for my blog, Pinterest and Facebook. If you are not an expert photographer, use one of the hundreds of royalty free images available to use online. Pexels is one of my favorite free image sites. I also learned that it’s worth it to occasionally invest in professional pictures for your blog. I have purchased some pictures from Big Stock Photo when I needed more specific photos. When it comes to blogging, Pinterest can be an amazing source of traffic for your blog! In addition to using Pinterest myself, I have automated some of my content so that it’s regularly being shared on Pinterest. 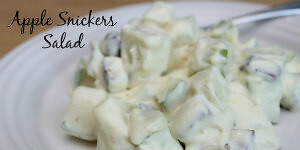 Some bloggers love using Tailwind for this. I have used Tailwind a bit but I much prefer Board Booster. Board Booster is a set and forget type scheduler for Pinterest. I can easily select what pins I want shared, to where and how often. Once it’s scheduled, I truly can forget about it and just check in occasionally. I find Board Booster much simpler than Tailwind to understand and use. Board Booster plans start at only $5 a month but you can get 100 pins free trial here. I easily make this money back every month in ad income alone, not to mention the affiliate sales it helps generate. Board Booster was a great budget investment for my blog. You can give Board Booster a try here. Affiliates are an opportunity for bloggers to earn money by promoting sales. Some affiliates pay you for clicks, some pay for sign ups and some pay for purchases made through your links (the most common). I am also an affiliate for Amazon and have been from the beginning. Since almost everyone shops at Amazon now, this is a good affiliate program for any blogger to join. Plus, Amazon makes it incredibly easy to promote their products. I still remember the first month I made $3.86 with them and I was so excited! Little did I know how much that would increase. 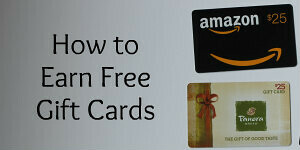 Amazon is a great first affiliate program to sign up for. ShareASale is a my favorite affiliate company. I have been using them since the very beginning and have not found another affiliate company that compares. ShareASale works as one platform with thousands of companies that you can get paid to promote. For example, through ShareASale, I personally promote Dayspring, Wayfair, Answers in Genesis, Schoola and Checkout51, to name a few. The nice thing about using ShareASale is that I can find all my links in one place, plus I get one paycheck instead of multiple little ones. My affiliate earnings accumulate faster this way which allows for quicker payout too. If you are a blogger of any size or level, check out ShareASale because I am positive you will find companies within your niche that you can promote. If you have companies you use regularly, most will allow you to be an affiliate and promote their website. You can find this information on the bottom of most websites. Just look for where it mentions affiliates and read more about their programs there. What do you use and love? How can you honestly recommend it to your readers, while making money at the same time? This is how you can easily go about finding affiliates for your website. Blogging has been and continues to be a wonderful journey for me and my family. It’s hard and emotional and yet, very rewarding. I hope that this post gives you a helpful starting place of things to investigate for your blog. I’d love it if you would pin this post on Pinterest to share with others who are interested in blogging, too! If you have any questions about blogging or the blogging resources I recommended, just ask in the comments! I know how overwhelming the blogging world can be to navigate and I’d love to help you as much as some more experienced bloggers have helped me. I hope you have learned something new about blogging and / or my journey as a blogger. Happy blogging to all my fellow bloggers out there! Hi Kristen! Thanks for being honest about your blogging story. Lately I've become a bit......well, irritated by bloggers who imply that making thousands of dollars a month by blogging is something that everyone can do. So, thank you for sharing your real experiences and story. I also love blogging but have been avoiding all of the blogging courses, e-books, etc. that have been ALL over the place recently. May God bless you in your pregnancy and on your blog! Yes!!! I agree whole-heartedly, Sarah! I love blogging, too, but you and I both know that it's important to be moms first and then work on blogging as we are able. Sure, we might be growing slower than some other bloggers but I'm okay with that. I'm so thankful to share this blogging journey with you! Who knew it could be so involved and have so many pieces to this blogging puzzle? Good job and thanks for sharing the information.